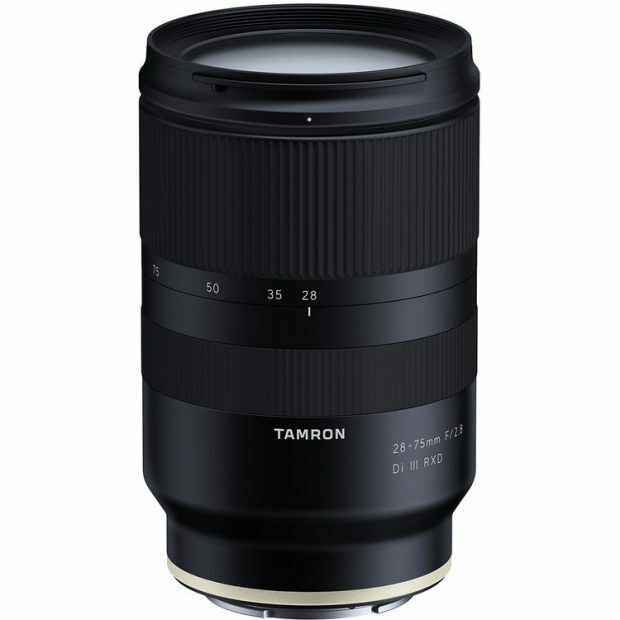 Tamron 28-75mm f/2.8 Di III RXD Lens for Sony FE In Stock & Shipping at Amazon! Good News! 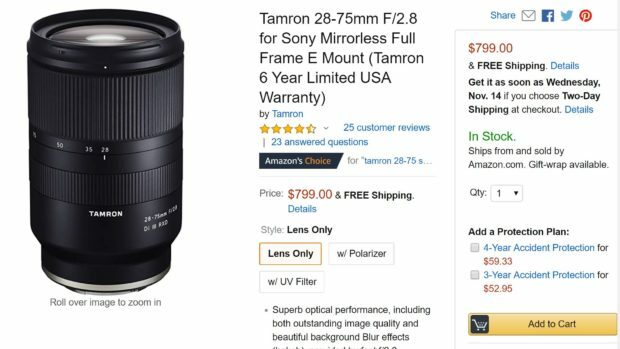 The newly announced Tamron 28-75mm F2.8 Di III RXD lens for Sony FE is now in stock and shipping at Amazon. It costs $799 with Tamron 6 Year Limited USA Warranty. You can also get Free Accessory Bundle via Adorama. Good News! The newly announced Tamron 28-75mm F2.8 Di III RXD lens (B&H/ Adorama/ Amazon) for Sony E is now first in stock at Adorama. It will be in stock on September 24, 2018 at Amazon. 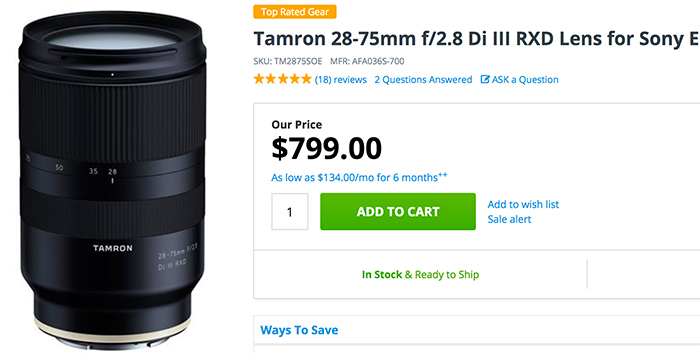 Tamron 28-75mm F2.8 Di III RXD Lens Priced $799, Available for Pre-Order! 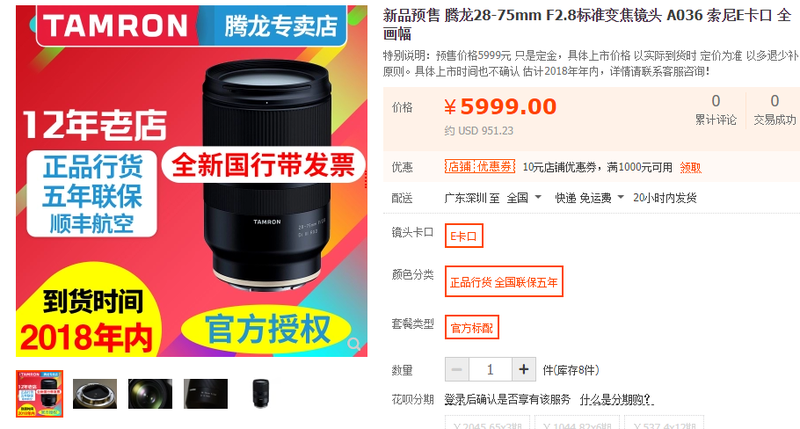 Tamron 28-75mm F2.8 Di III RXD Lens for Sony $950!